Please try them out, test the navigation and provide us with feedback. 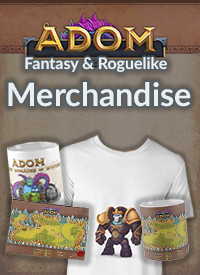 The idea here to find an easier introduction for new players with the Easy mode - and give experienced players more means to personalize their game experience (among other things with a means to configure a "medium" level for hunger, fudge die rolls to some extent and configure on whether and how to use talents in your game). 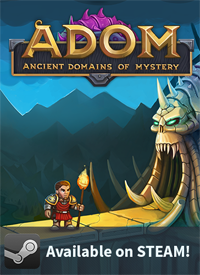 This mode is a very important addition for Steam where we learned that many of the more casual games get too easily frustrated by the steep learning curve in ADOM. 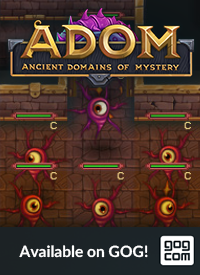 Together with the many UI enhancements (and many more to come in the graphical version) we hope that they will enjoy ADOM far more and that this will allow us to get better visibility with a wider audience (more happening in the background for that - stay tuned for a later update). 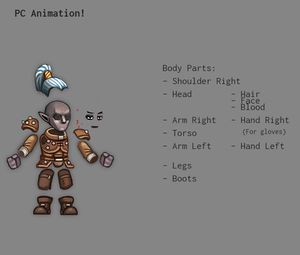 Since ADOM 2.3.0 we have included a completely revised point-based character generation process for your attributes. It provides a lot more flexibility and basically factors in all the points for your disposal which in former versions were hard-wired. Naturally we also would like to know how you like that mode.